I’m the proud owner of a first-generation Toyota AW11 MR2. I’ve owned it since May 2014 when I bought it from a local couple with just 69,000 miles on the clock. Since then, I’ve racked up a further 4000 miles taking it on a variety of adventures. Along the way, it’s become clear to me why this car has earned such a great reputation. Being a lightweight, mid-engined, rear-wheel drive car, the handling is easily one of the most prominent features of the car. 128 horsepower isn’t much to shout about but thanks to low weight, it does press on at a fair rate even by today’s standards; a little more punch wouldn’t go amiss though (2ZZ-GE swap anyone?). The car is predictable in the dry and gives me confidence when cornering. The mid-engined layout means a ‘slow in - fast out’ approach to let you place the car precisely on the way into a corner, setting you up to get on the power early on the way out. If you push the limits, it tends to press into gradual understeer, before then turning into progressive oversteer. Driving the car in the wet is an entirely different kettle of fish. As well as rear-wheel drive power oversteer to contend with, you also have the issue of lift-off oversteer; both are easy enough to avoid if you drive sensibly, and I’ve only had a handful of unintentional sideways moments thus far. 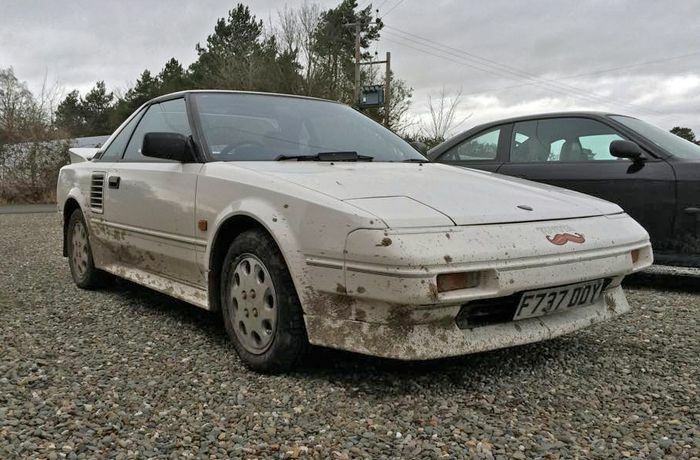 For such a low and sporty car, several people have commended the MR2 on its superb ride. The 185/60/14 tyres and well-worn in dampers mean there’s ample cushioning between you and the road. The narrow tyres are thin enough that they don’t tend to find cambers too much in the road whilst retaining a decent amount of grip. 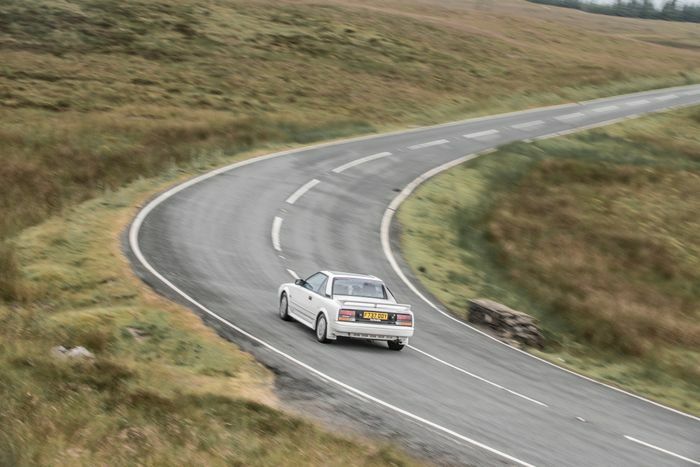 Despite the comfort though, the AW11 feels stiff enough when it needs to be; I really can’t fault the chassis. 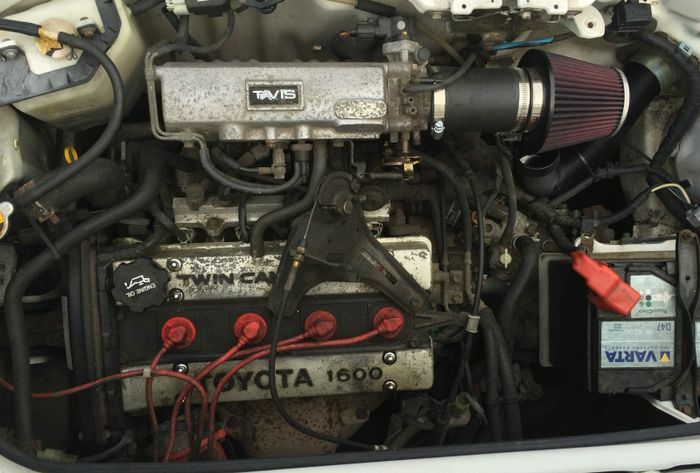 The drivetrain is also a peach; the 1.6-litre 16 valve 4A-GE that you’d find turning the wheels of the legendary AE86 also propels the AW11 with gusto. With the addition of homemade stainless exhaust tips and a K&N 57i induction kit, you get that throaty baritone scream right behind your head accompanied by the alto rasp of the exhaust. It’s absolutely wonderful. The gearbox is smooth and has a short throw which allows you to nail every shift with ease. My only real complaint from the drivetrain is the sarcastically open differential which will happily cut drive to the best gripping wheel to let another spin freely; this often leaving me without drive in wet conditions. 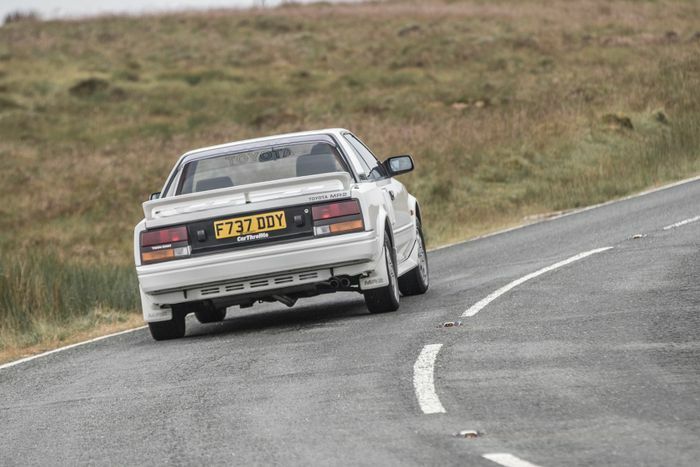 It’s also the reason why the MR2 is known for its treacherous snap-oversteer, though it isn’t as pronounced as the internet would have you believe. My MR2 has just turned 27 years old. It must be said that cosmetically - and sometimes mechanically - it shows. 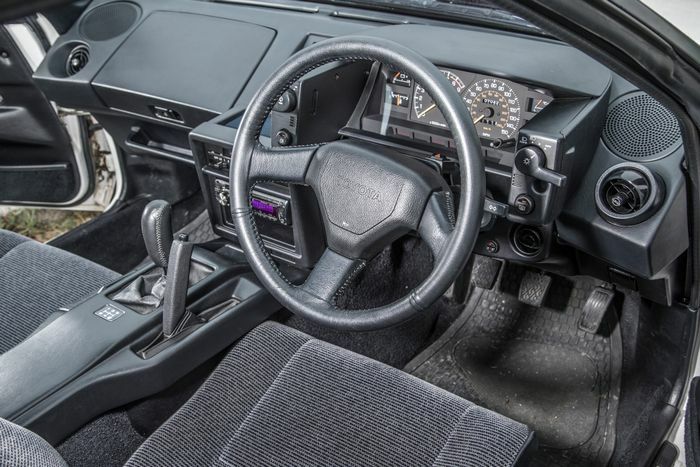 That isn’t a bad thing though, the angular 80s aesthetic seems to go down well with just about everybody who sees it; you can’t go wrong with cheese-wedge styling and pop-up headlights! You do notice the age in places though; the brakes are very period and so require a good stamp if you want to stop in a hurry. There’s also no power steering which is nice for fast driving, but over the years, the bushings have worn out and the steering does feel a bit spongy and numb at times; nothing that can’t be fixed, of course. It’s also very noisy inside. A 4A-GE behind your head is a lovely soundtrack, but it’s also accompanied by the occasional rattling trim and sizeable helping of wind noise. One great perk of the MR2 is that it’s small (just 48.6 inches high, 4.4 inches shorter than a classic Mini) so there isn’t actually a whole lot of surface to clean. Being of simple Japanese design, it’s also a relatively easy car to work on. The biggest challenge to overcome is working on the engine in the back; you have to stoop over the sides in order to get a decent reach into the bay making simple tasks harder than they should be at times. On the plus side, there are no plastic covers to dig beneath, hardly any electrical systems to go wrong and the engine seems to go forever. The car has never had a single MOT advisory in its entire life. 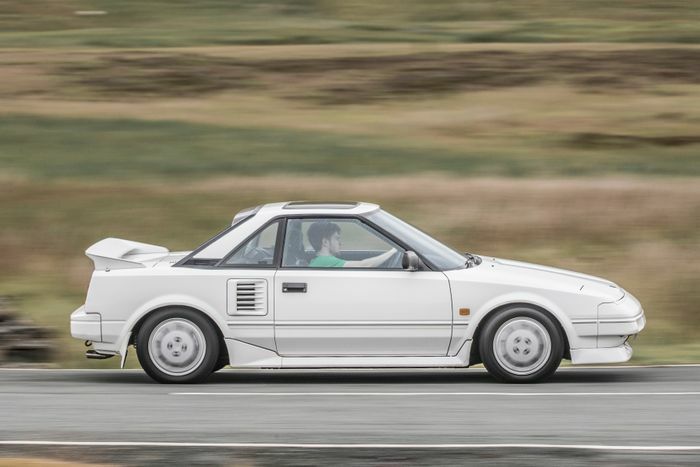 All in all, the MR2 has been an utter delight to own and drive. Being such an analogue experience has taught me a lot about driving, and I can’t wait to see how things pan out in the future. I have plans for it - money permitting - and some new shoes are first on my list. That being said I doubt I’ll go particularly far modifying it. 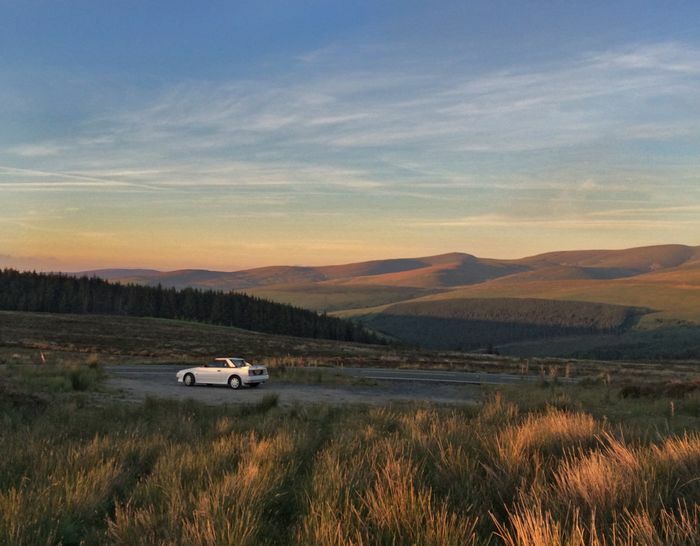 I actually bought this car before Toyota GB was able to grab it for its very own heritage fleet, an event that actually led to our GT86 and AE86 excursion to Wales, so I’d like to keep it looking as period as possible since it’s such a clean example. One day I’m sure that I’ll move onto better and faster cars, but as for selling it, I don’t think that’s ever going to be an option for me. I love my car and this is a long-term relationship.